BMW Classic awards a rare and special Friend of the Marque recognition to club members from around the world that have shown years of dedication and enthusiasm towards the brand, with positive and inclusive attitudes. In 2017, Henry Wong from the BMW Auto Club Quebec won this award. 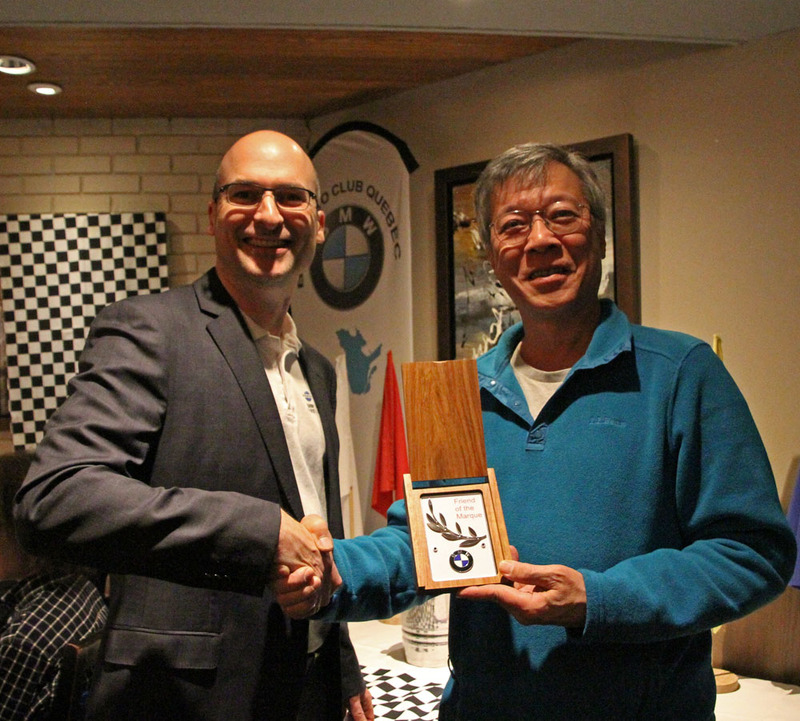 Chris Pawlowicz, president of BMW Clubs Canada, joined the Quebec club at their Christmas party and presented Henry with the award. Pictured is Chris (on left) and Henry (on right).